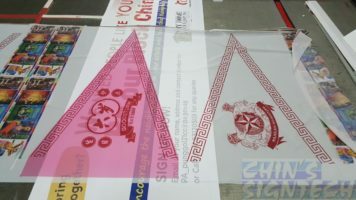 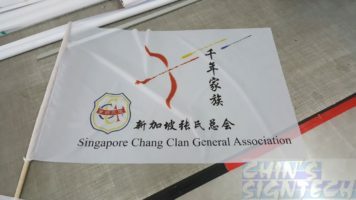 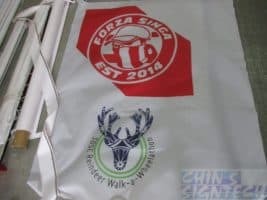 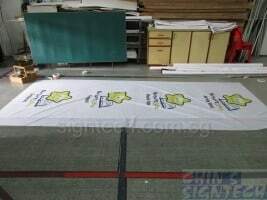 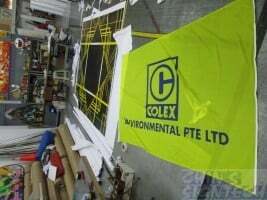 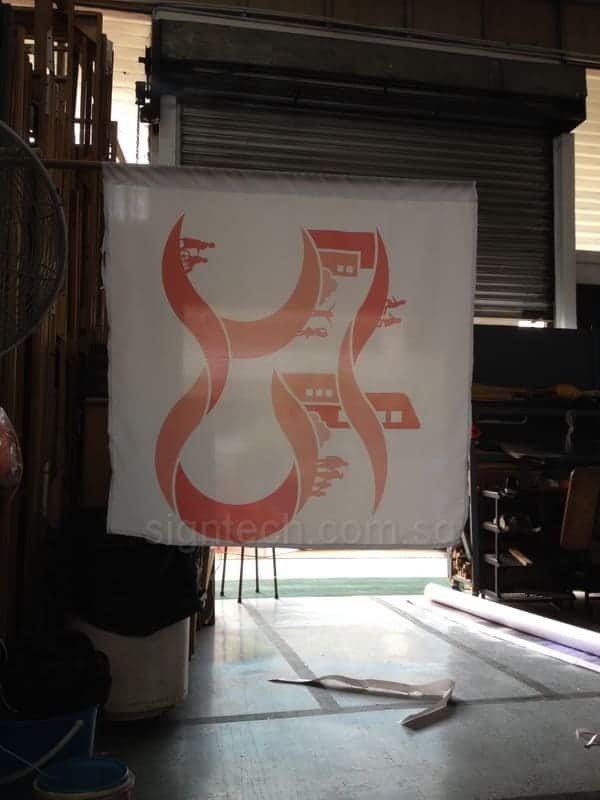 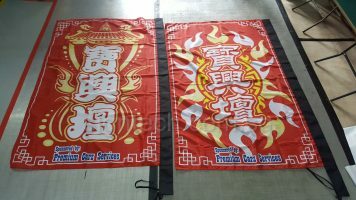 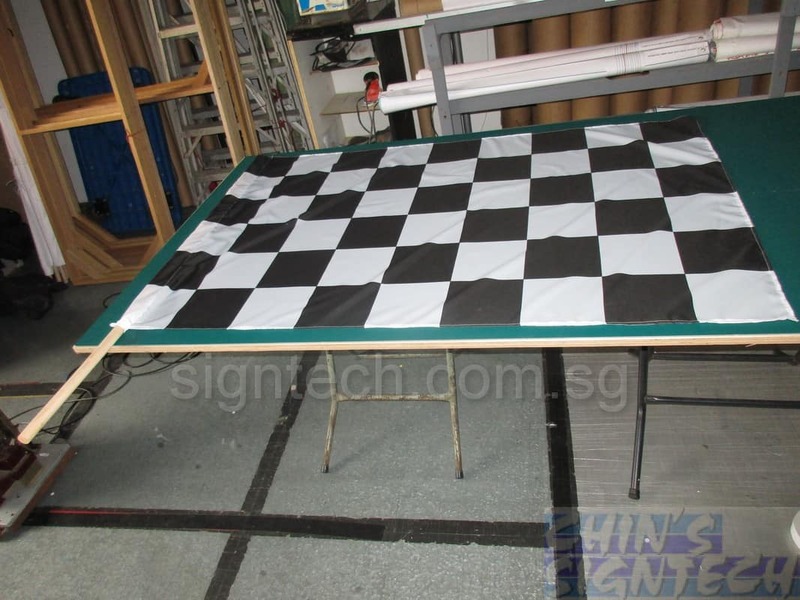 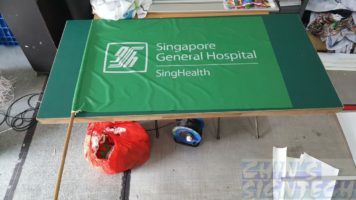 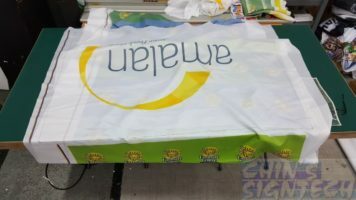 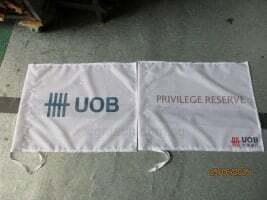 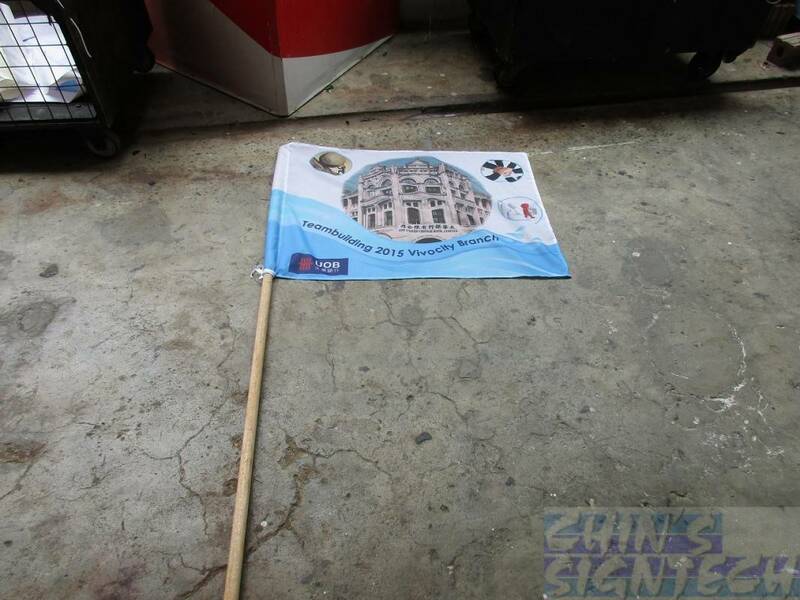 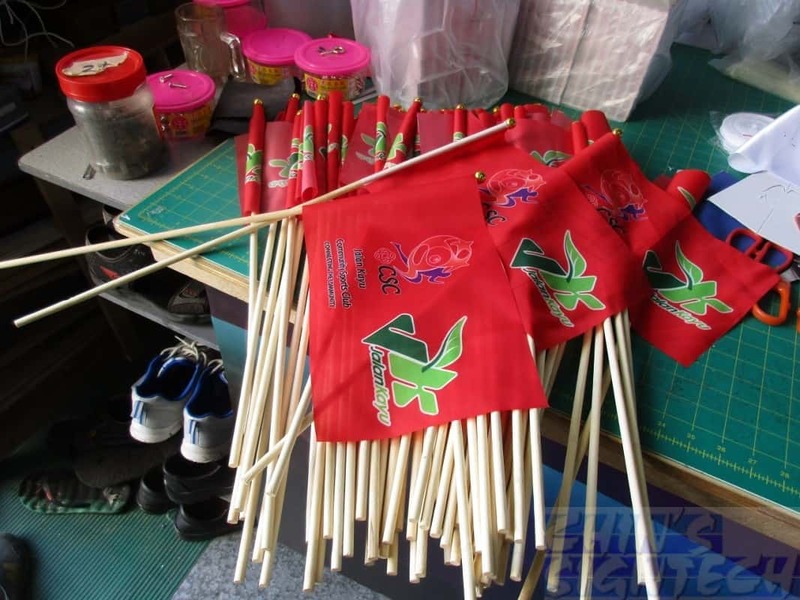 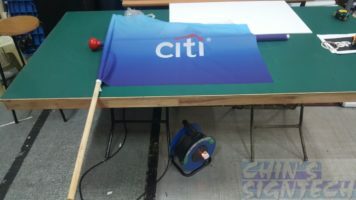 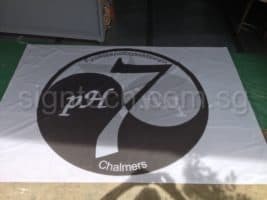 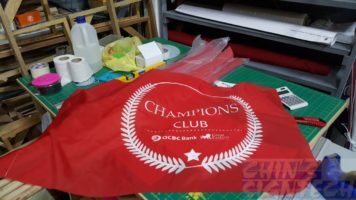 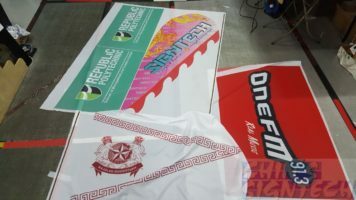 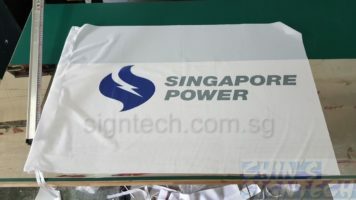 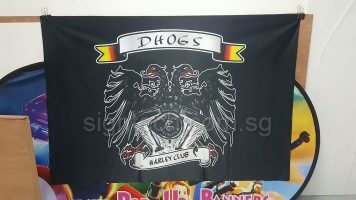 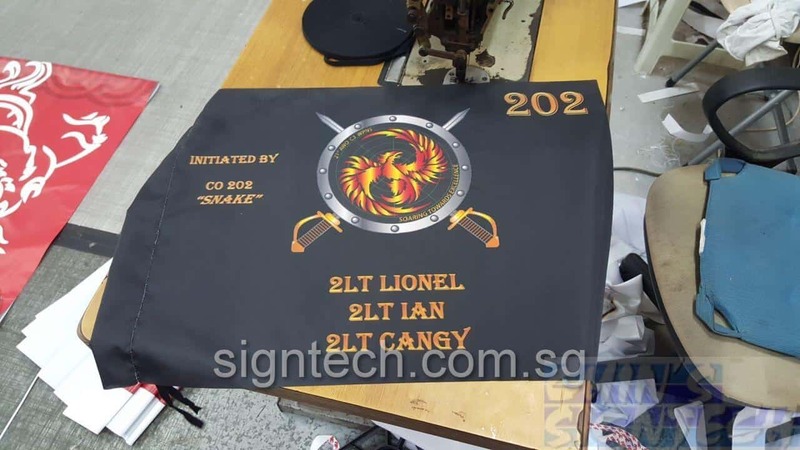 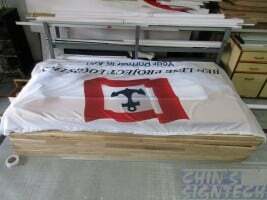 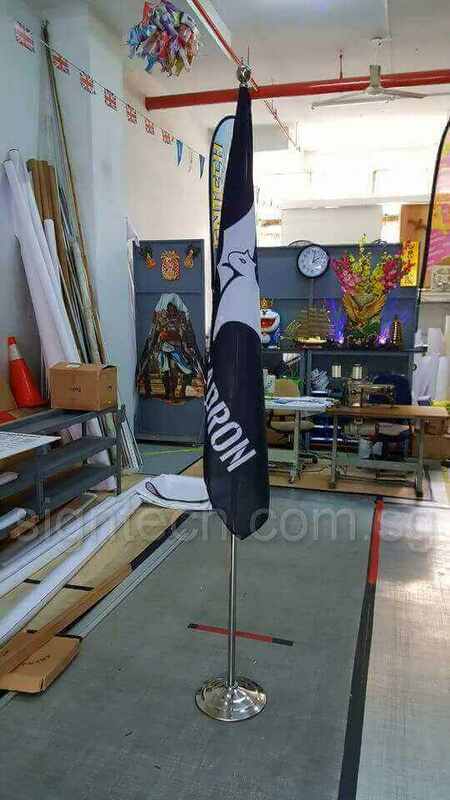 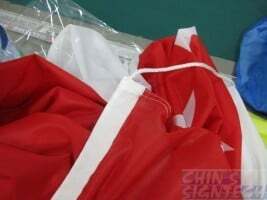 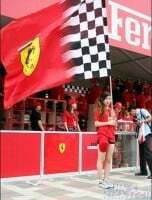 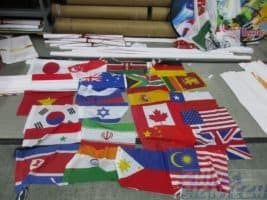 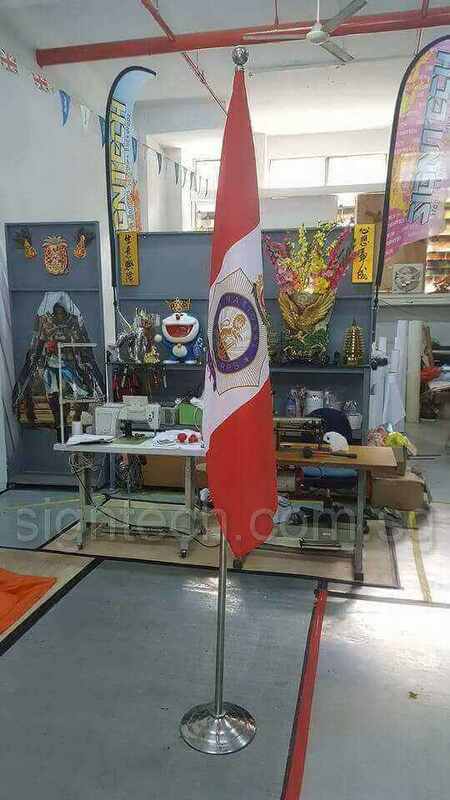 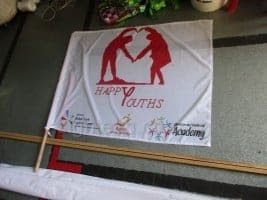 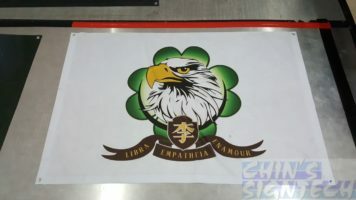 We are local Singapore flag maker / manufacturer. 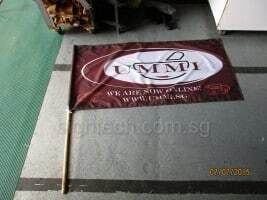 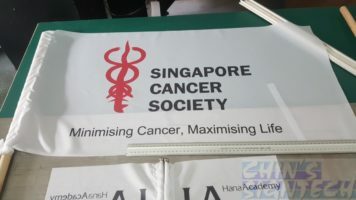 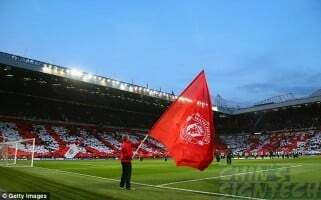 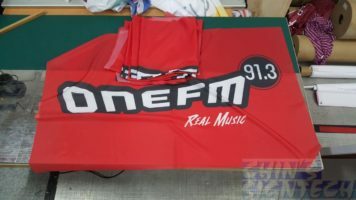 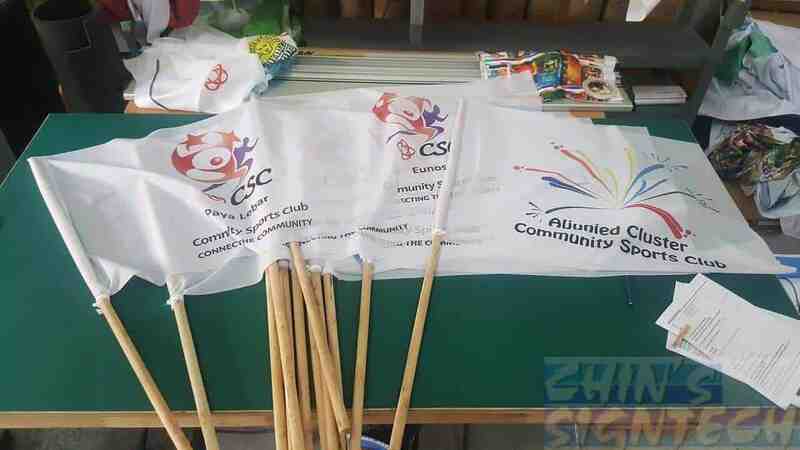 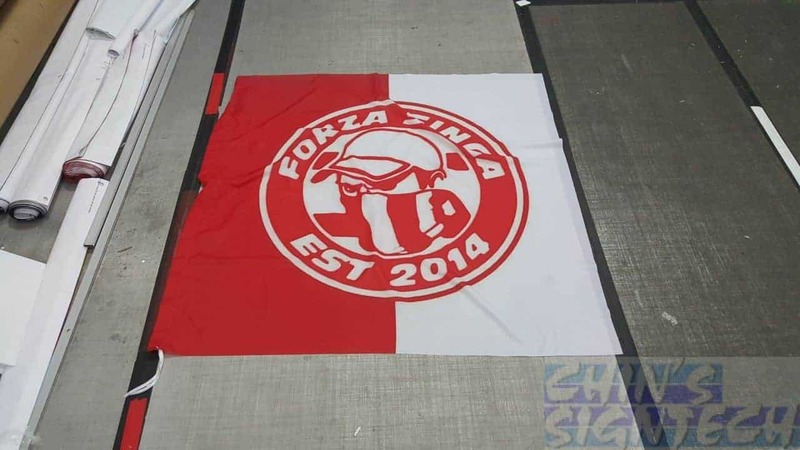 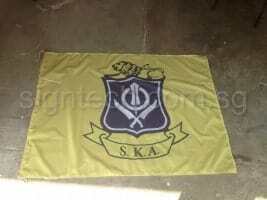 We produce all kinds of custom made flags in any size or shape with unlimited colours at affordable price. 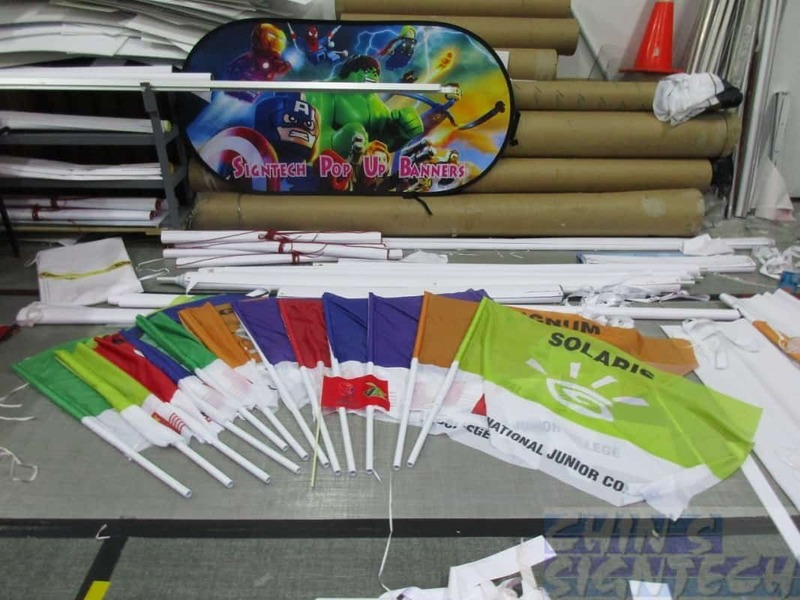 These flags are digital print directly on fabric, using dye sublimation are photo quality and durable for all UV and weather conditions. 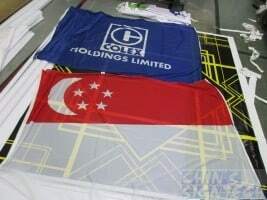 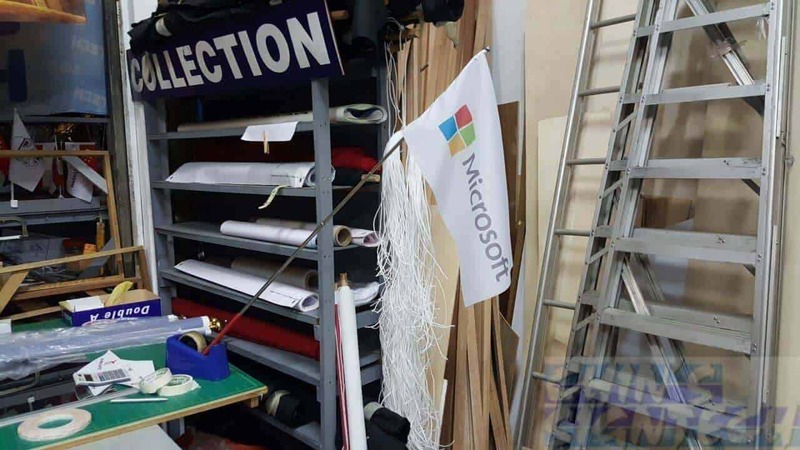 You can even machine wash your printed flag. 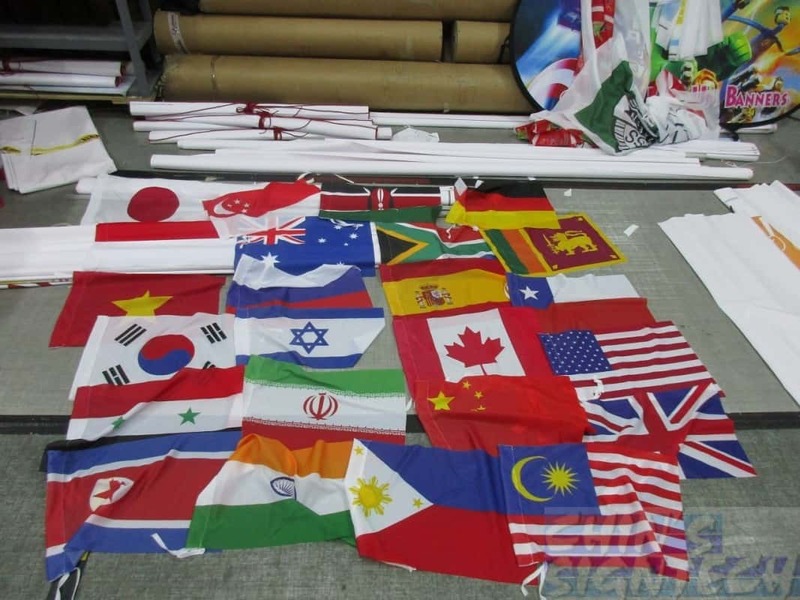 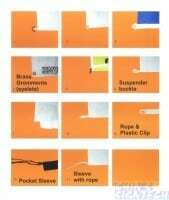 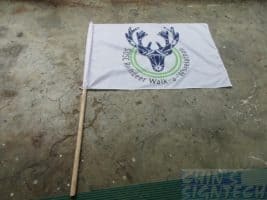 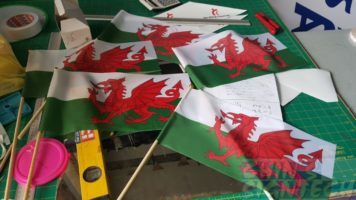 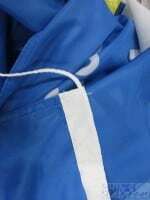 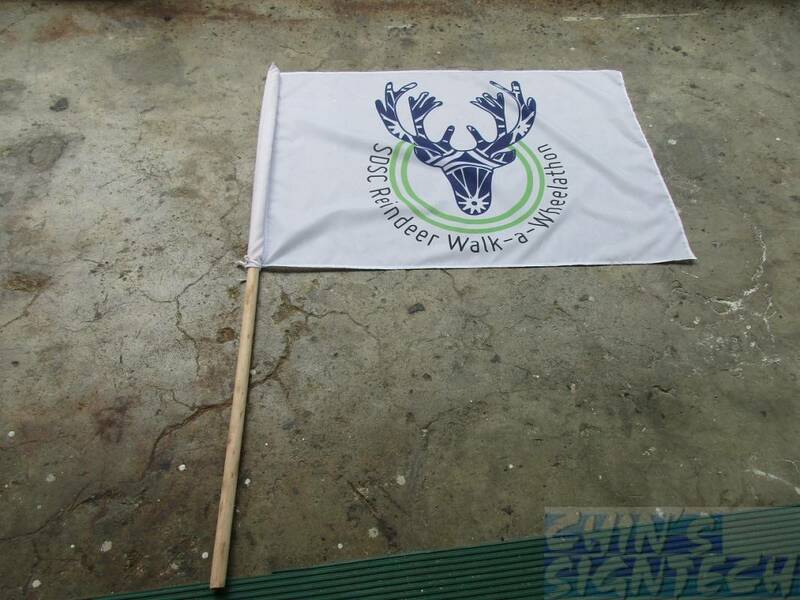 These flags are ideal for use on standard flag poles or for held by hand or a bespoke pole fixture. 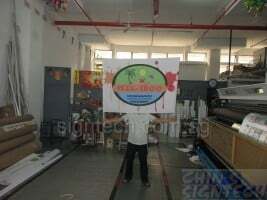 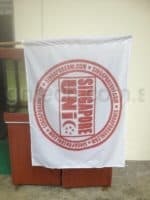 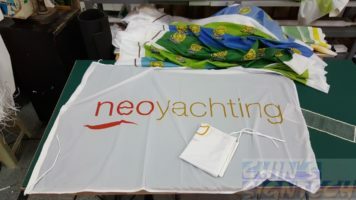 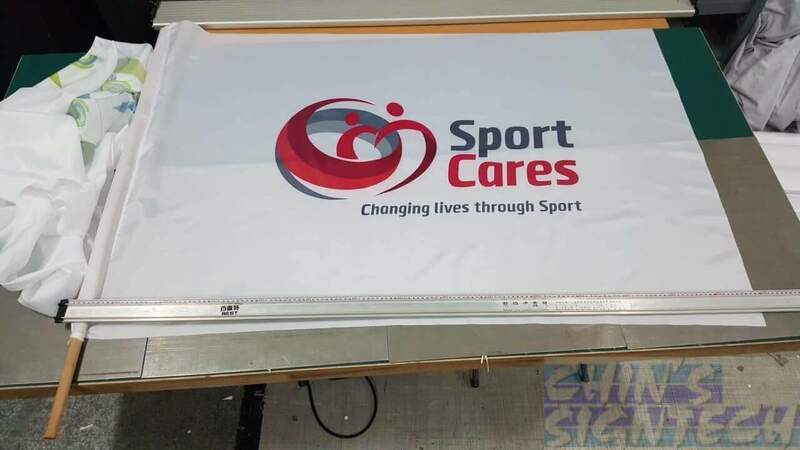 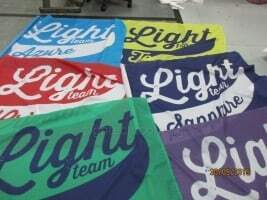 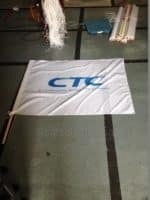 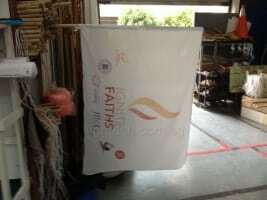 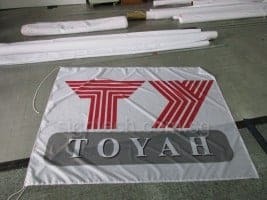 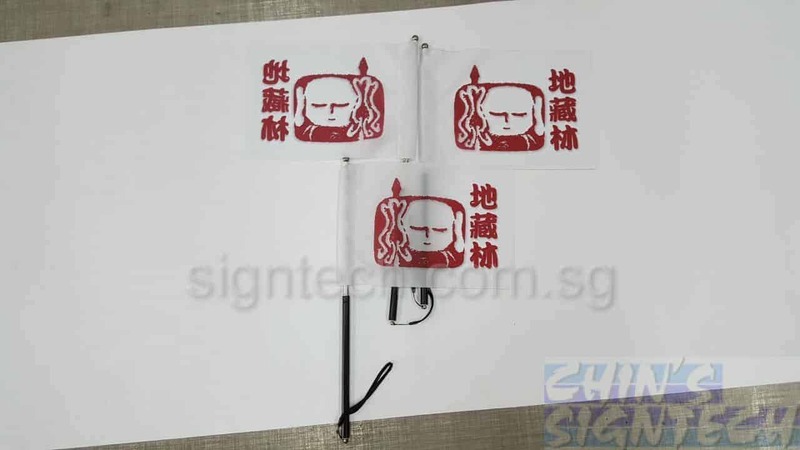 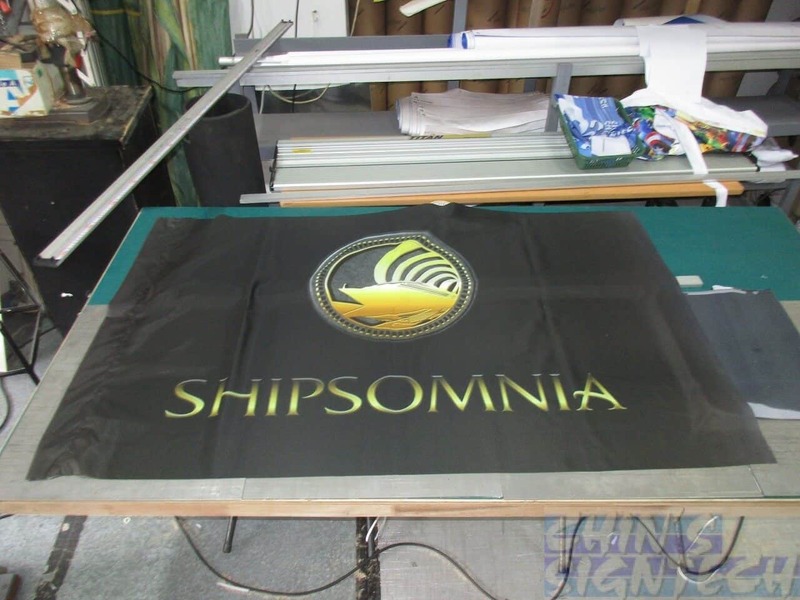 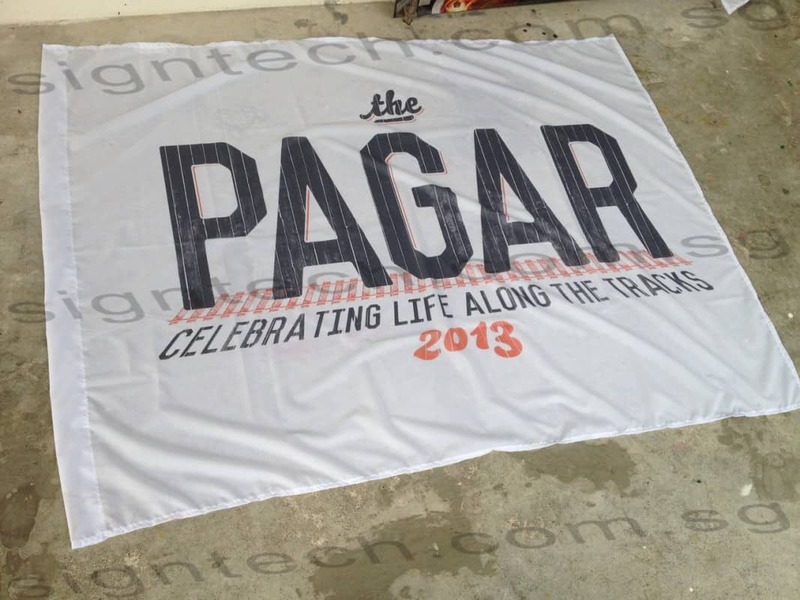 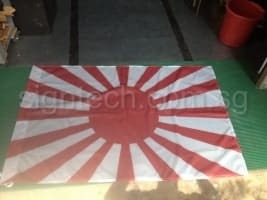 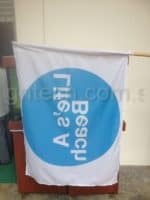 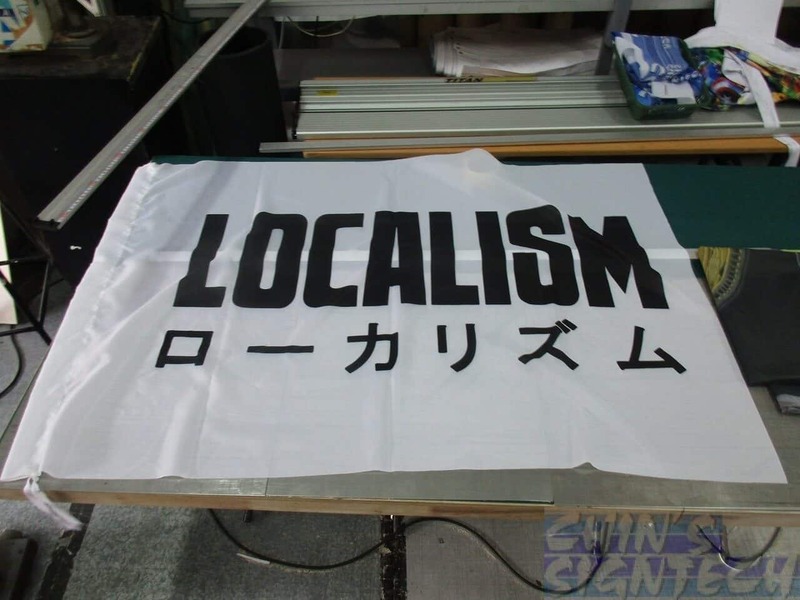 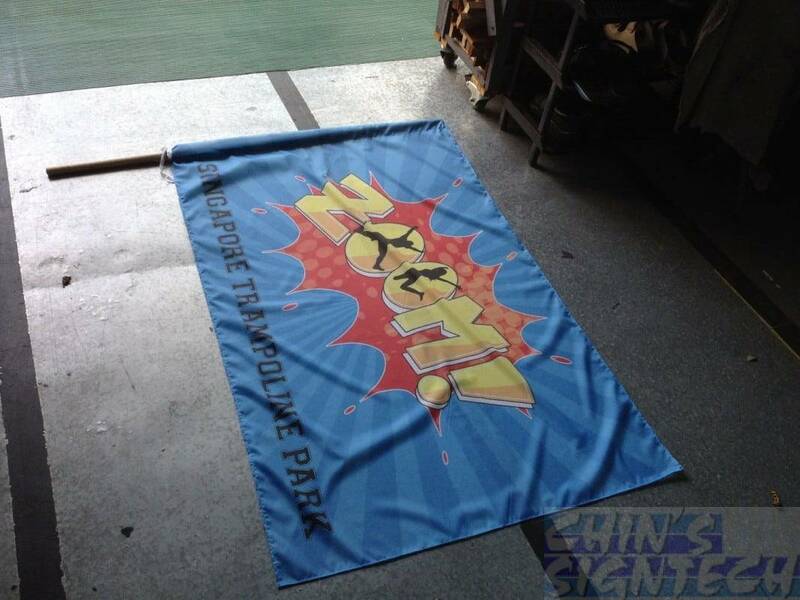 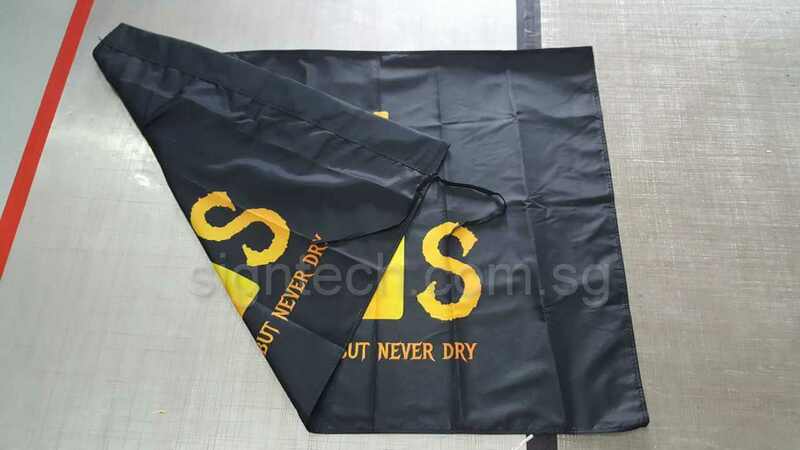 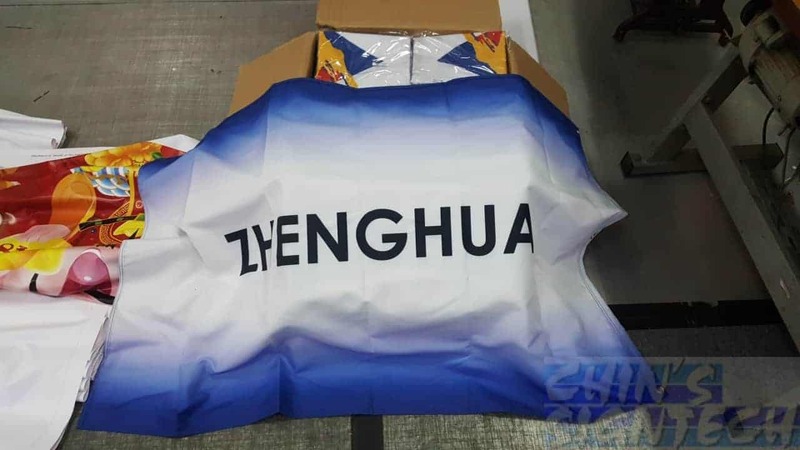 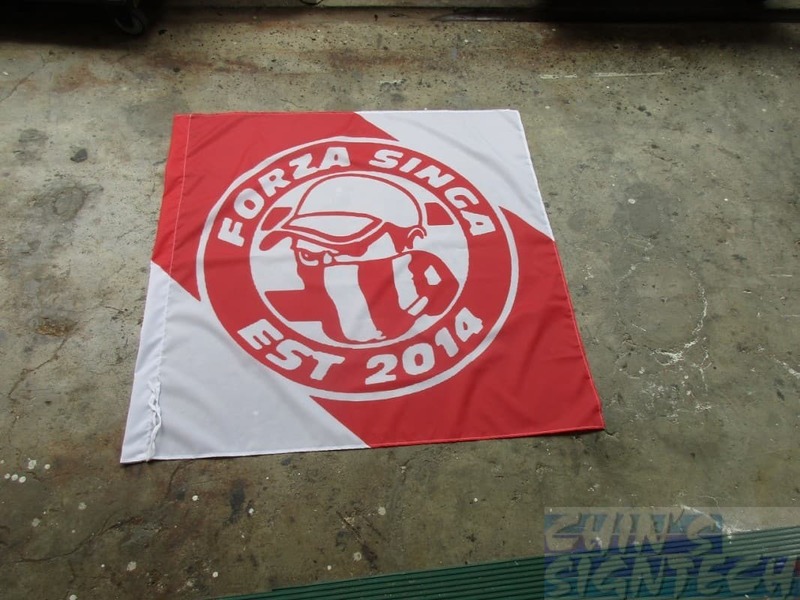 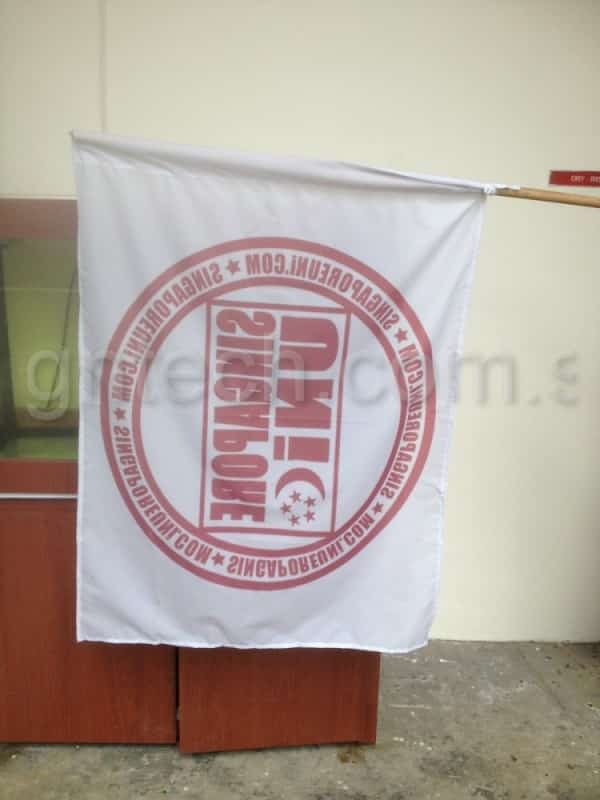 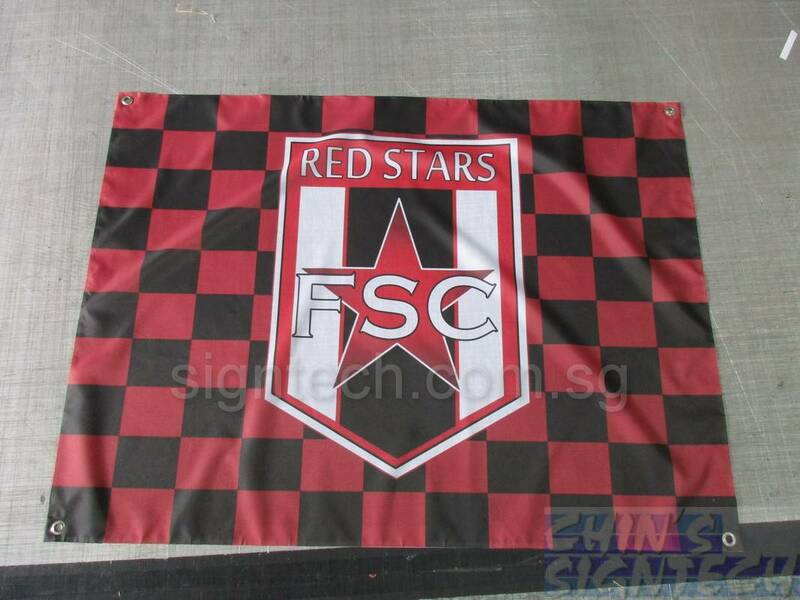 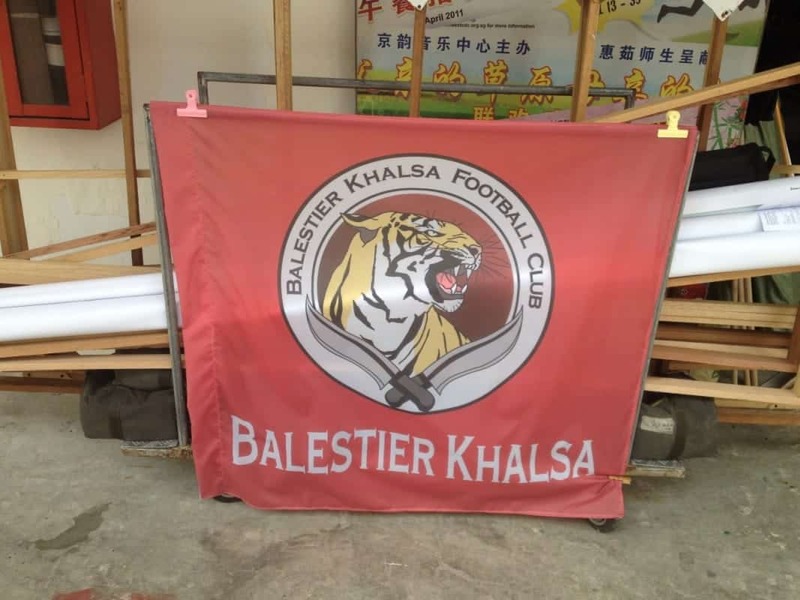 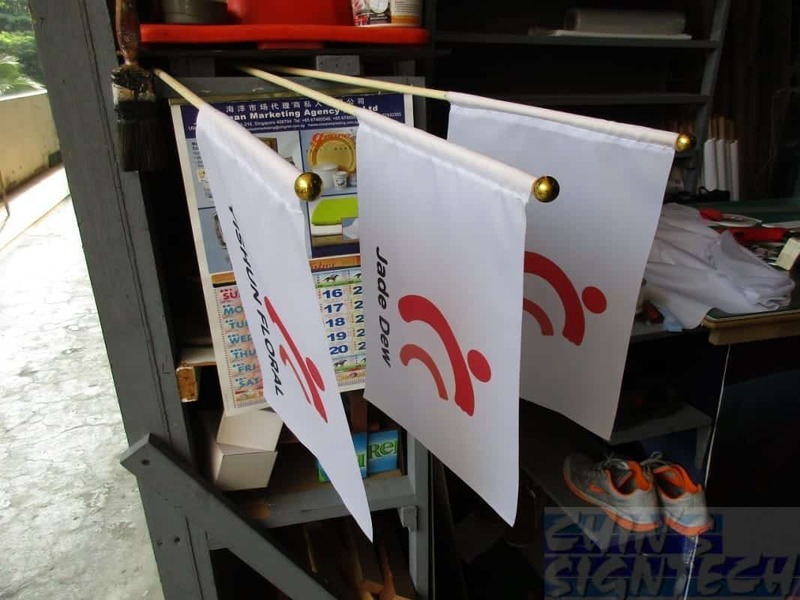 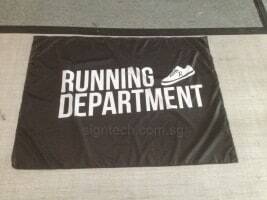 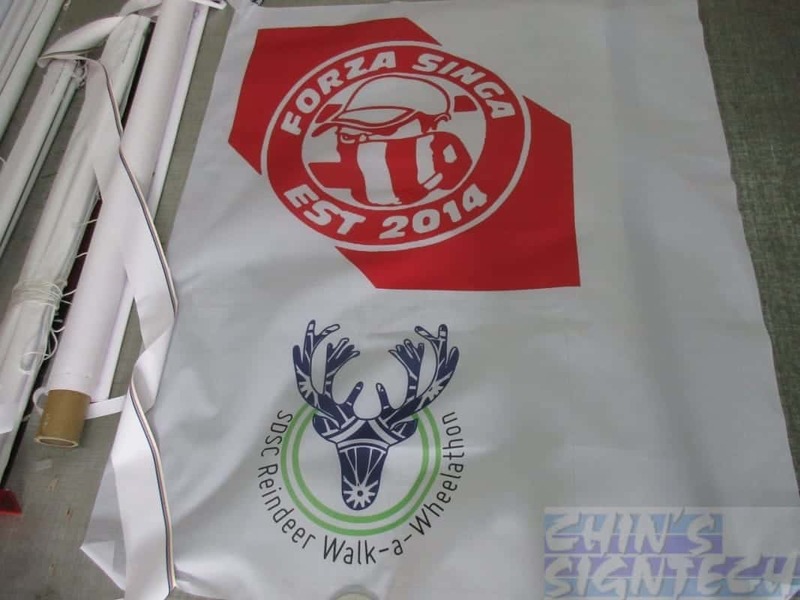 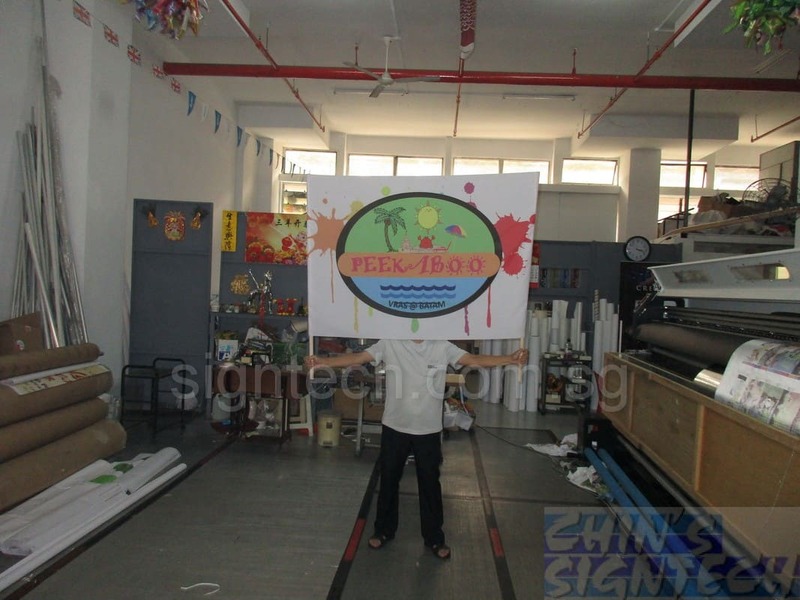 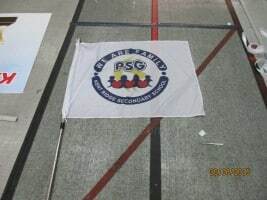 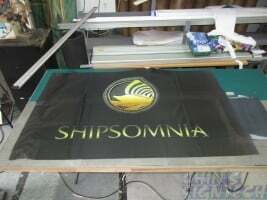 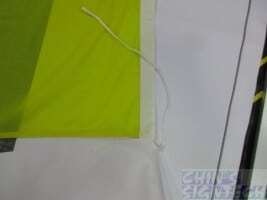 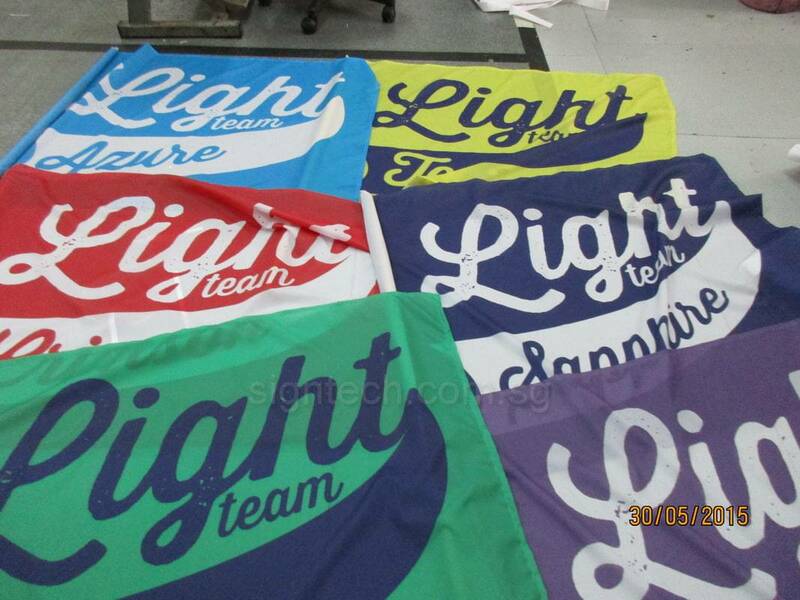 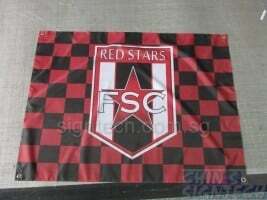 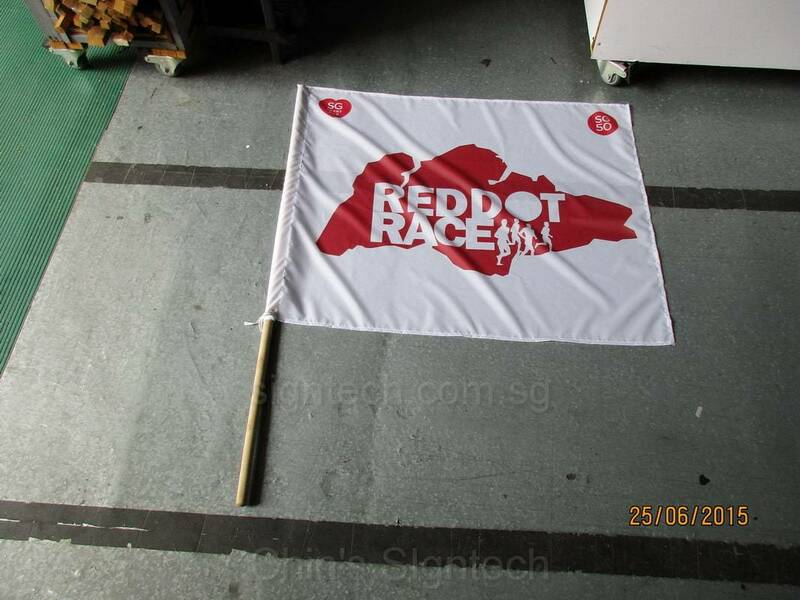 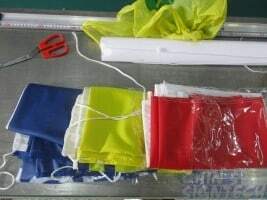 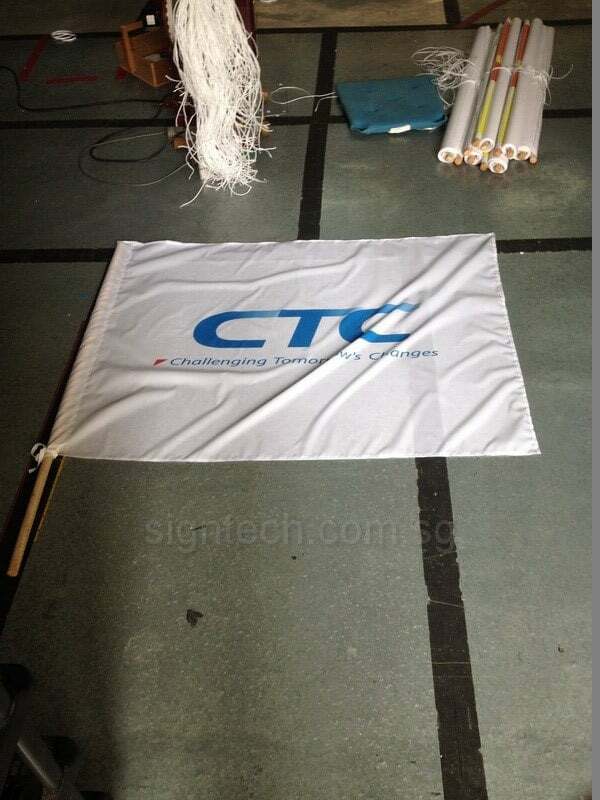 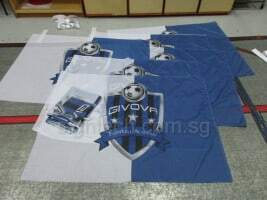 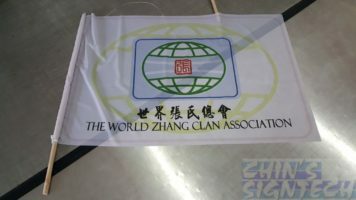 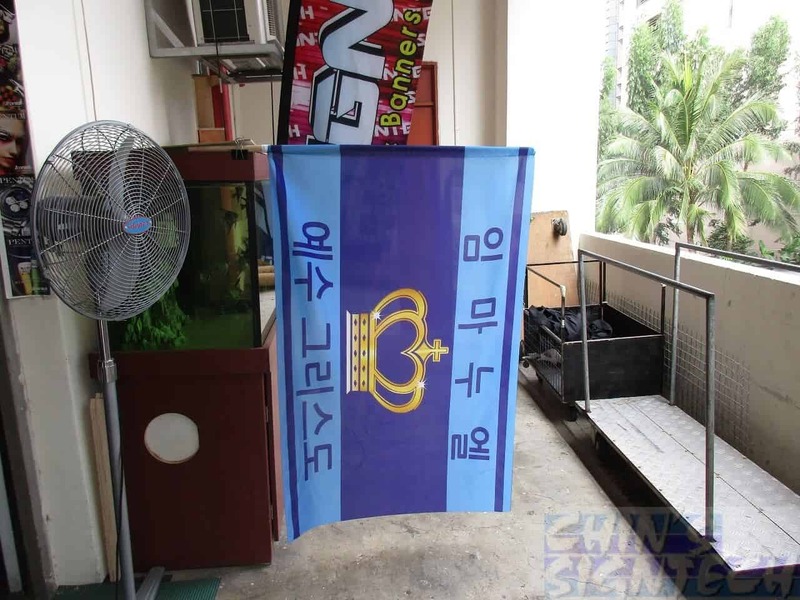 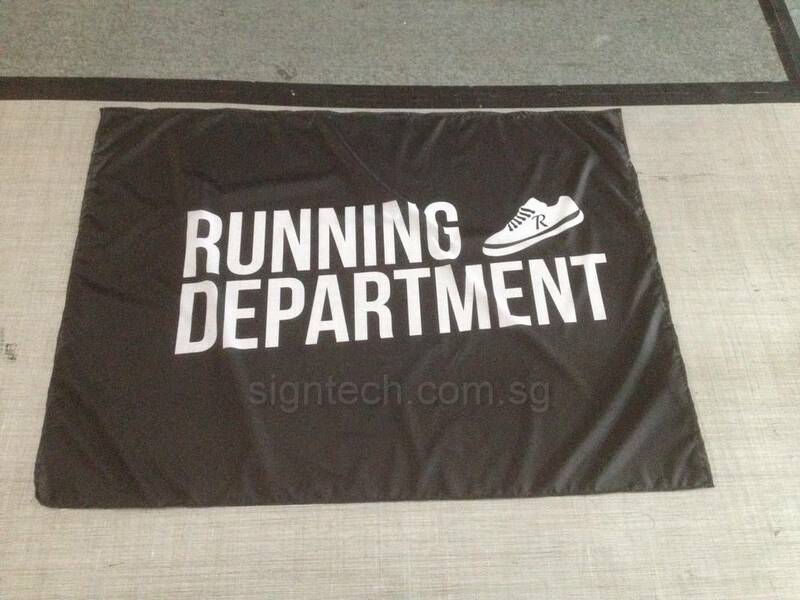 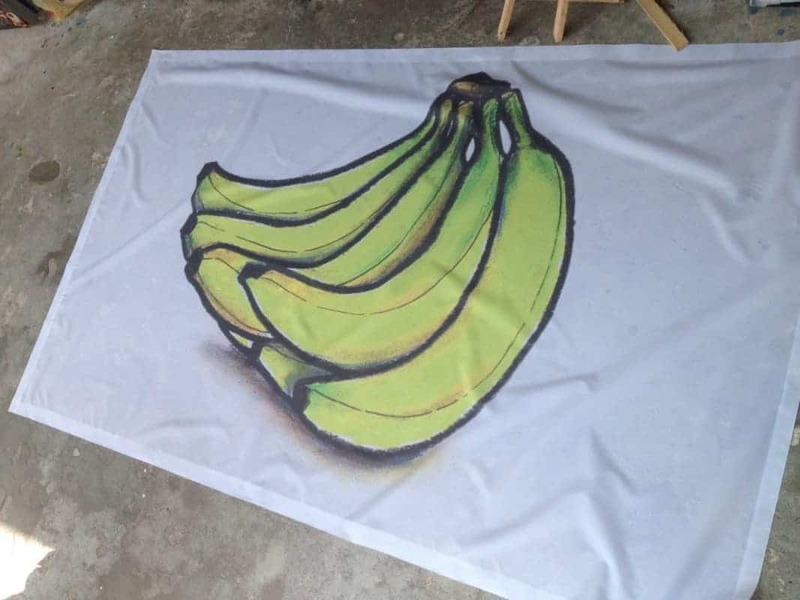 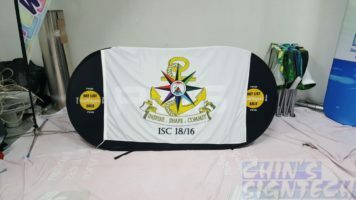 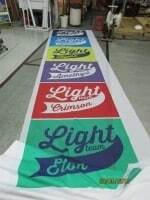 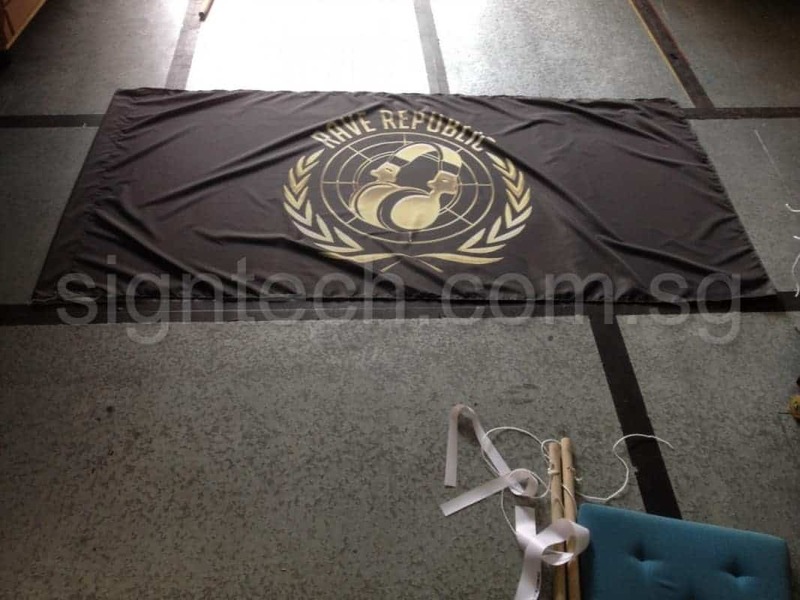 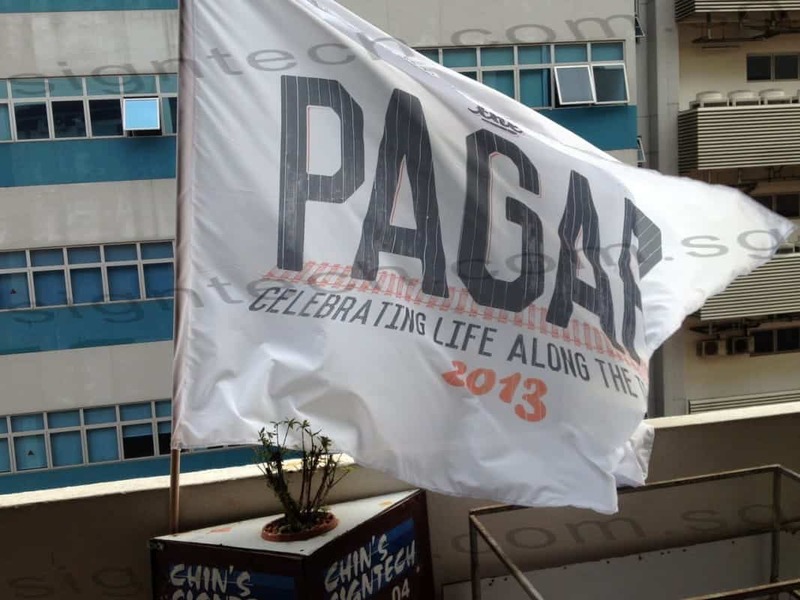 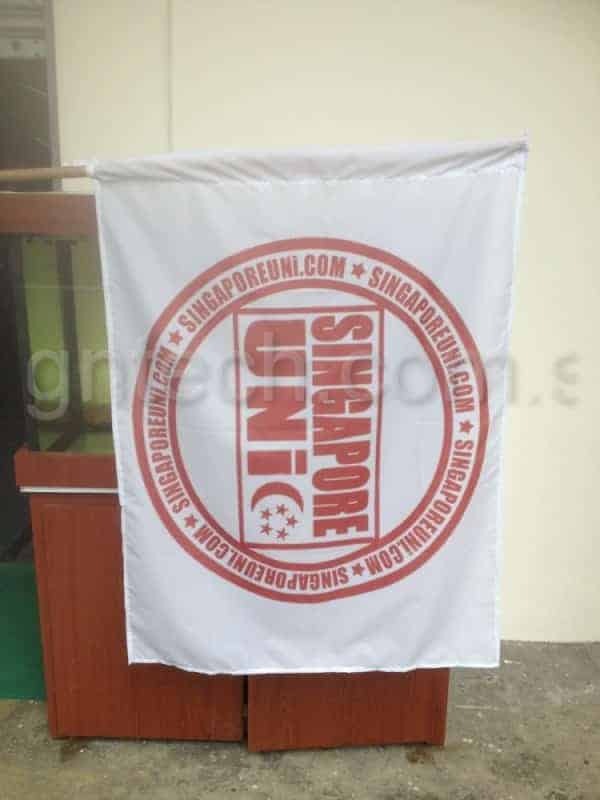 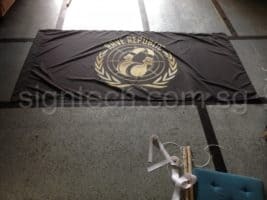 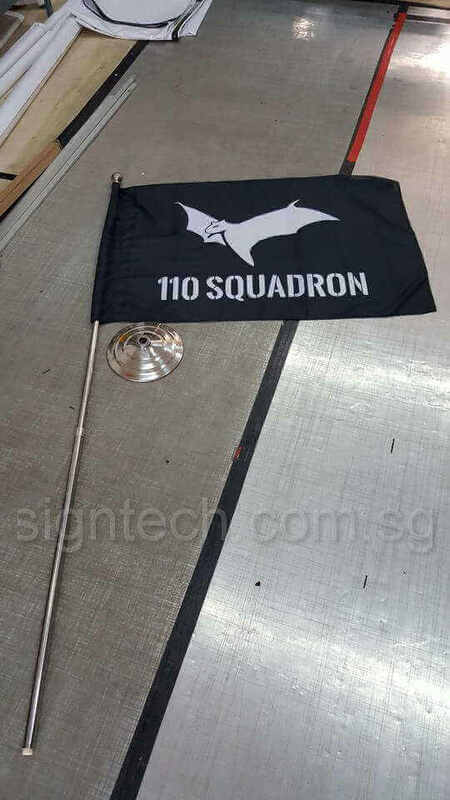 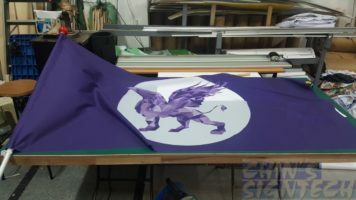 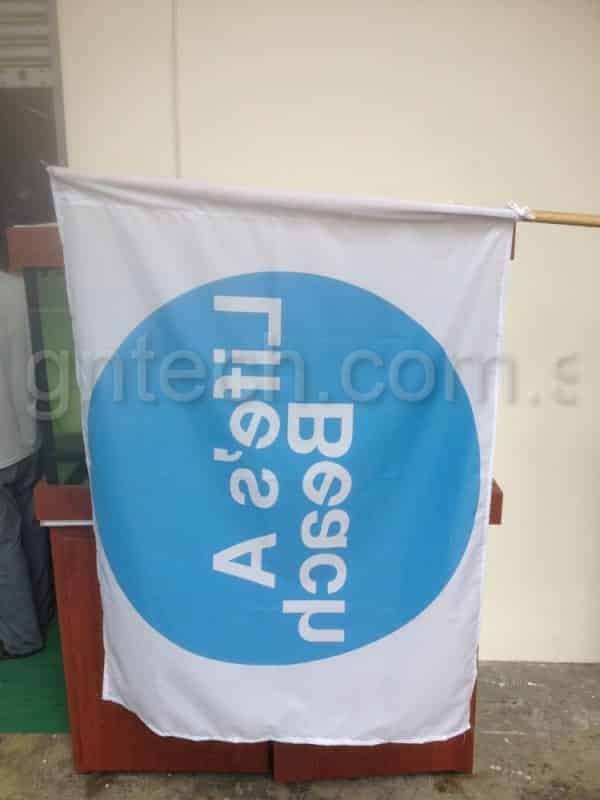 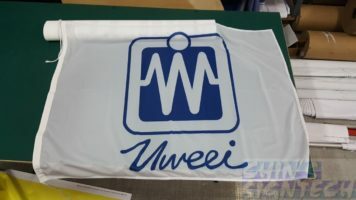 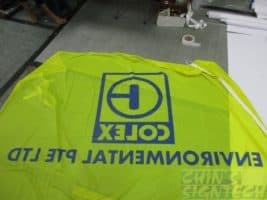 Flag Material: 75 GSM Polyester fabric, Light weighted which can fly up easily. 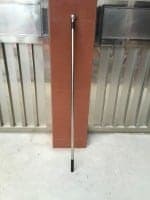 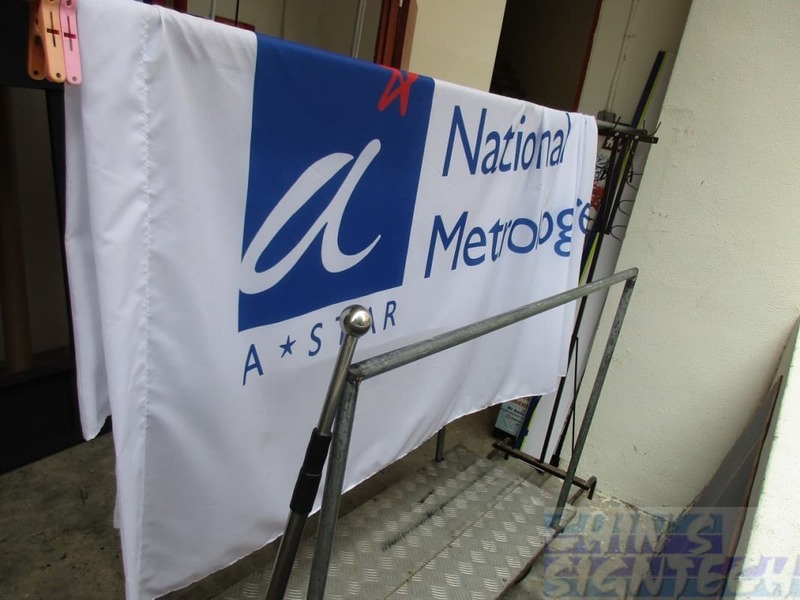 Need more long lasting and durable flags for your company or school outdoor flagpole ? We can print it on thicker fabric and with better sewing finishing. 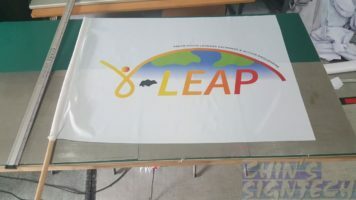 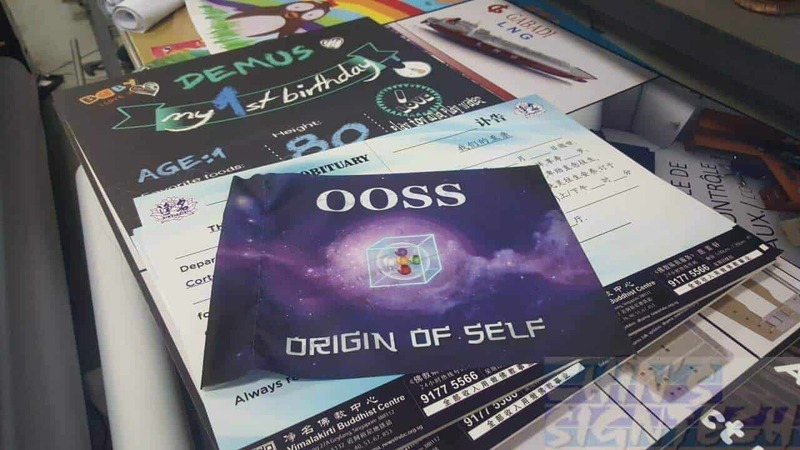 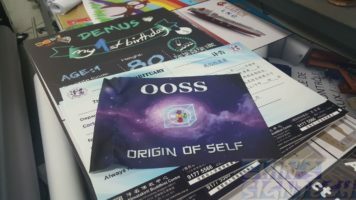 100gsm which are use on single sided Teardrop and feather flag banners. Is thicker and abit translucent than 75gsm fabric. 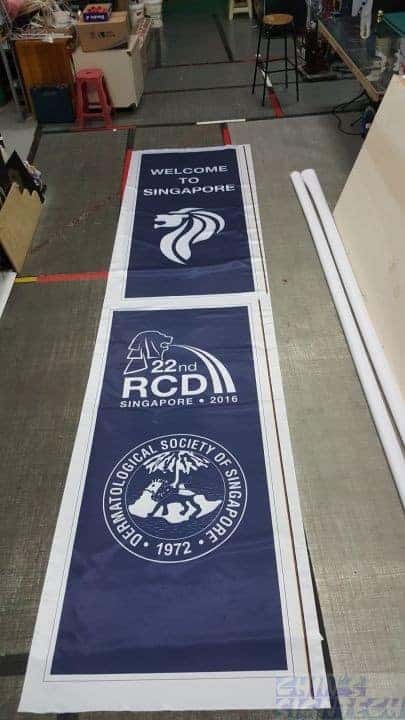 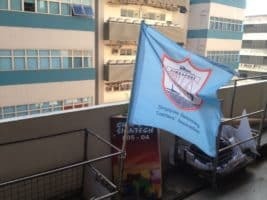 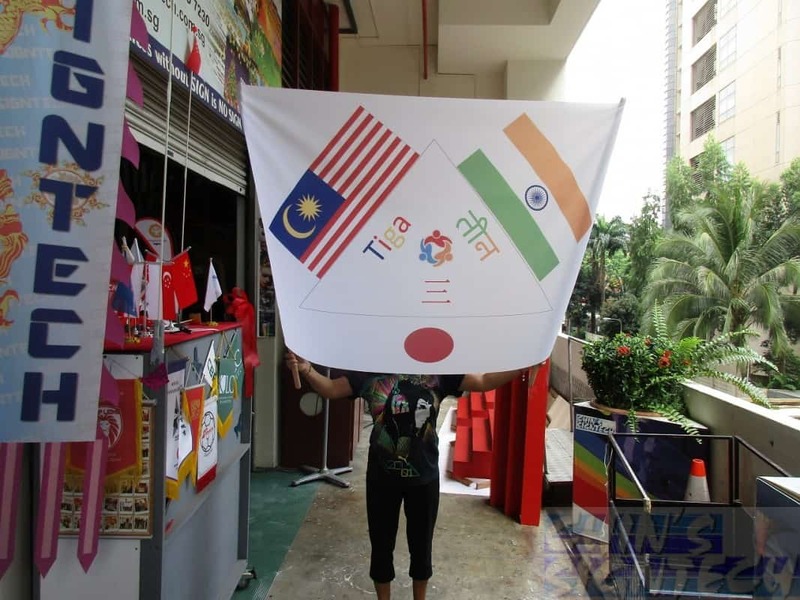 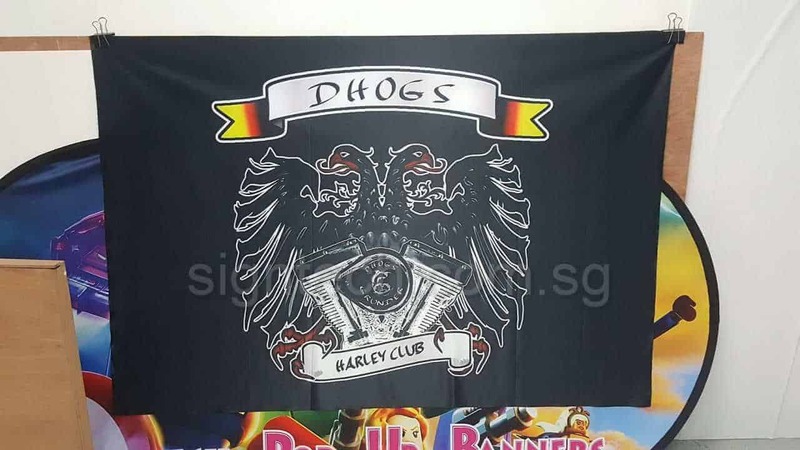 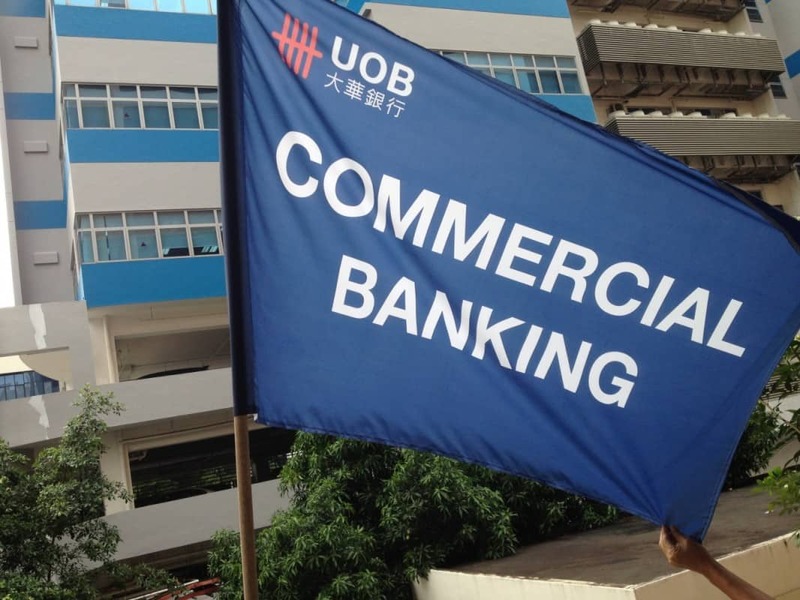 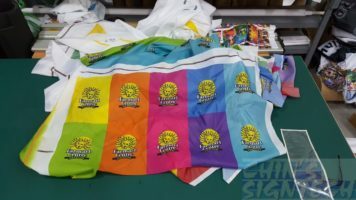 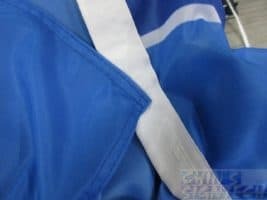 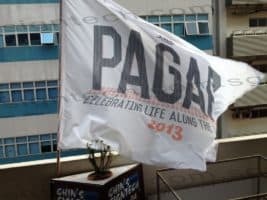 How your flag is printed on front and back view ? 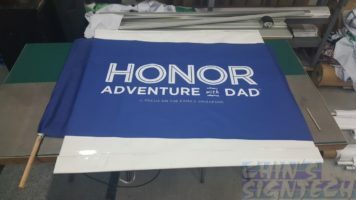 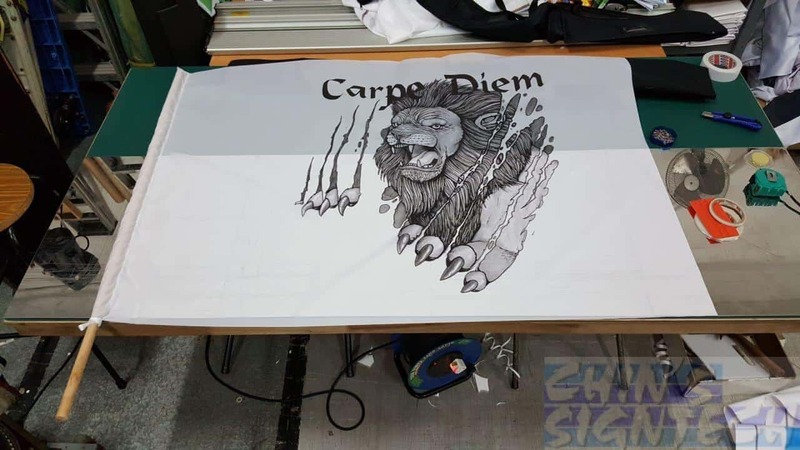 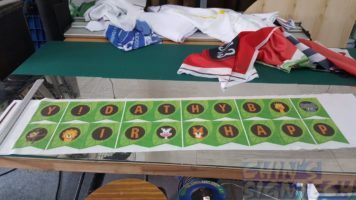 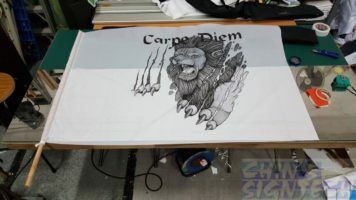 Some customers request for double sided flag printing. 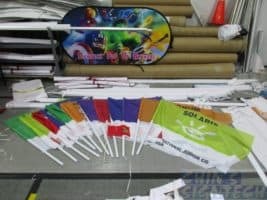 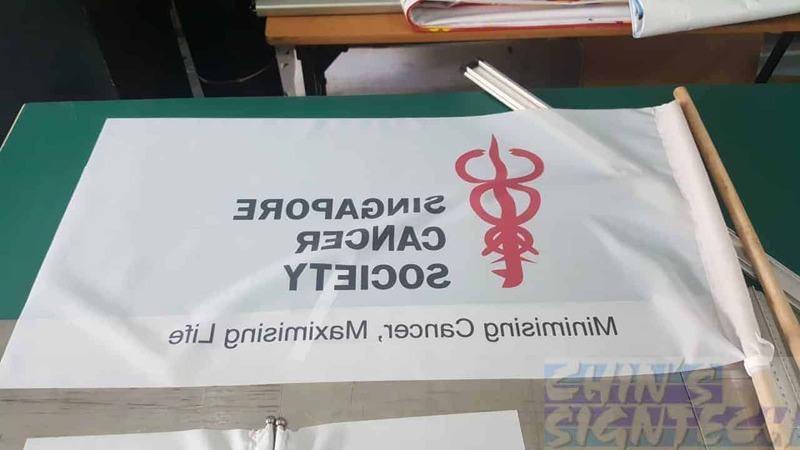 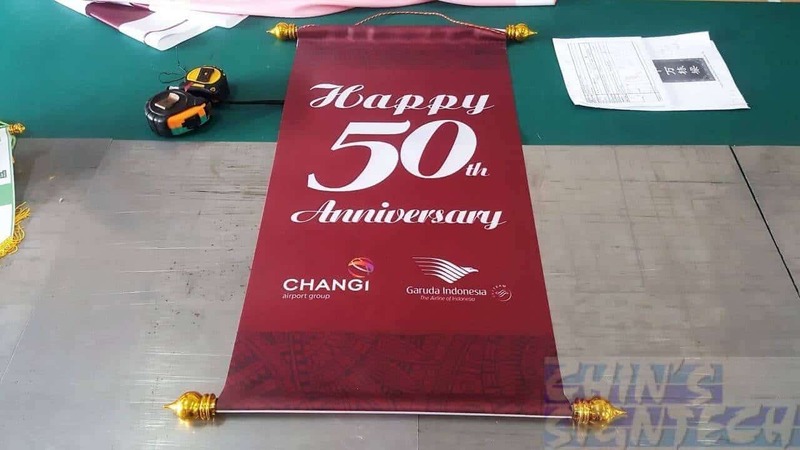 Flags are usually printed single sided with mirror effect. 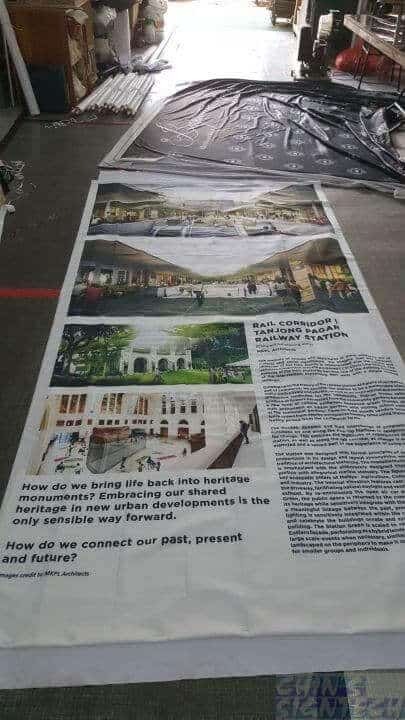 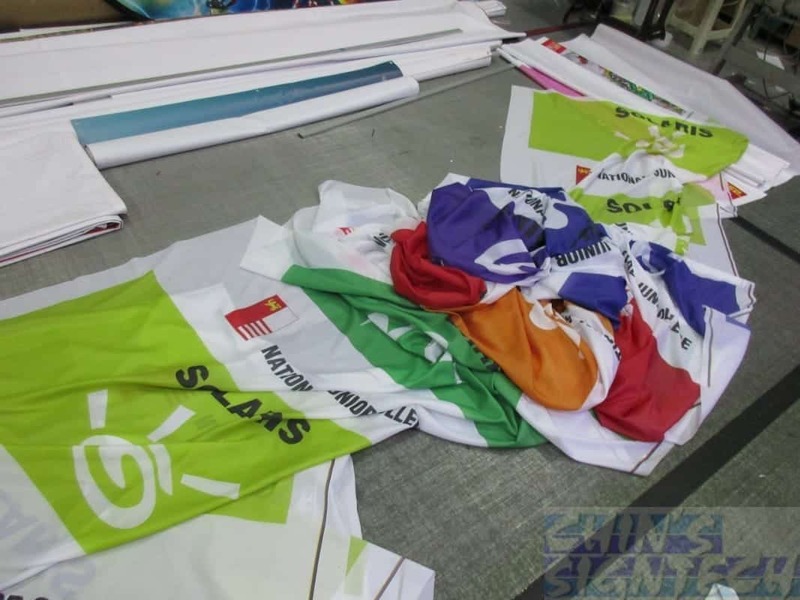 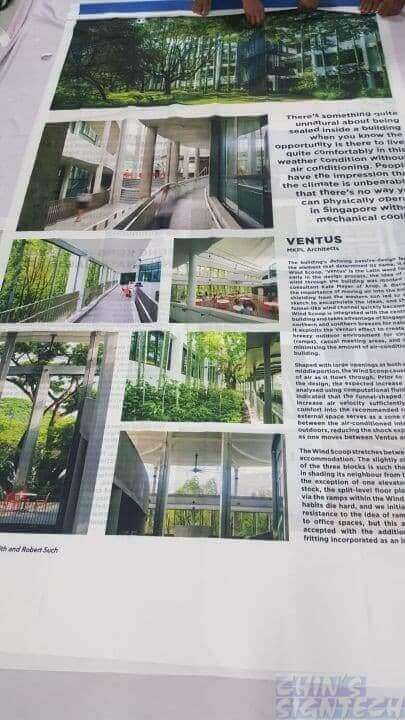 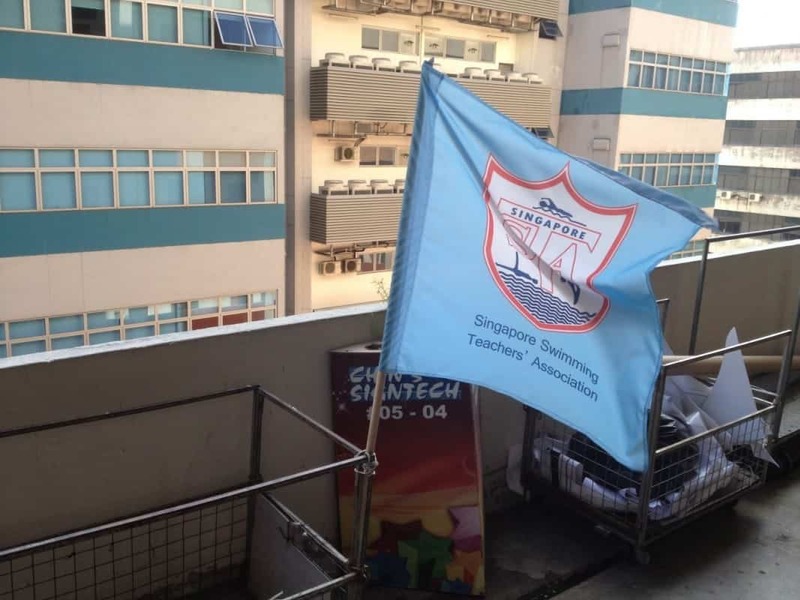 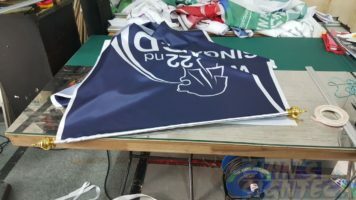 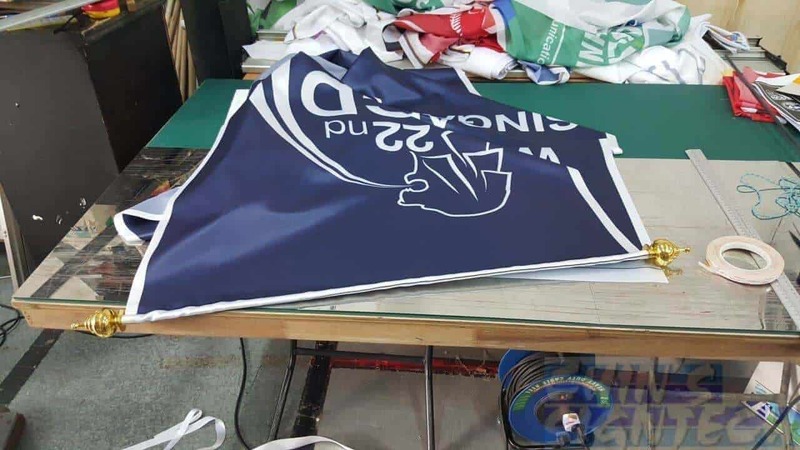 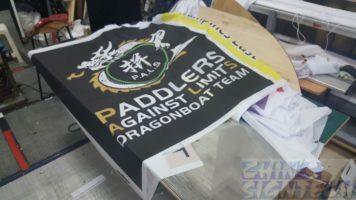 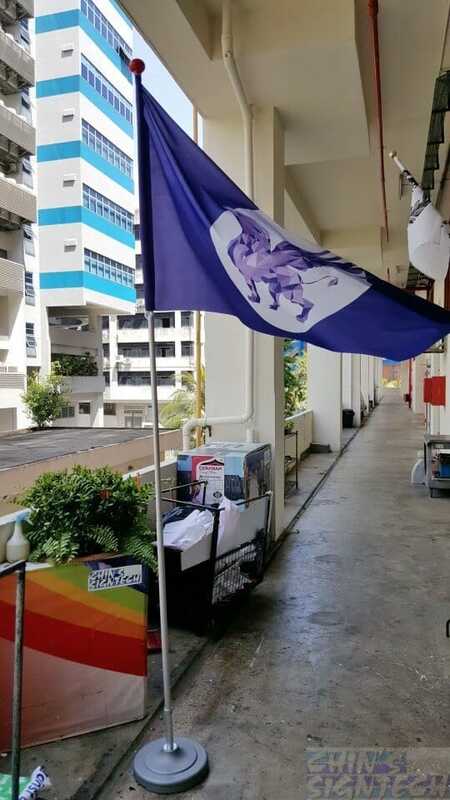 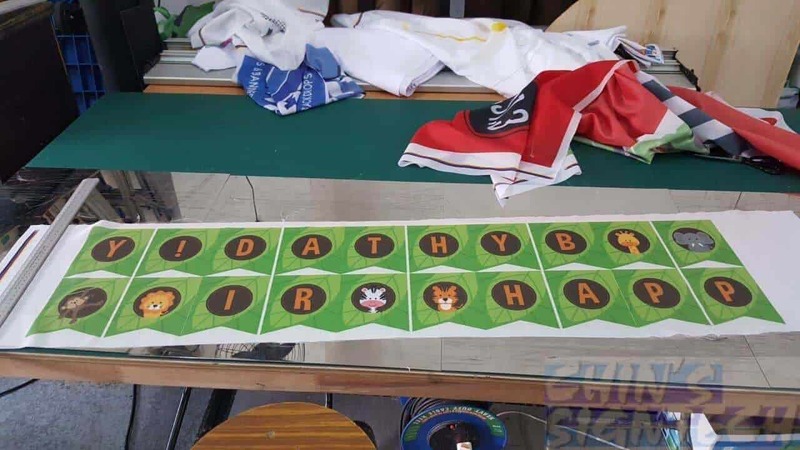 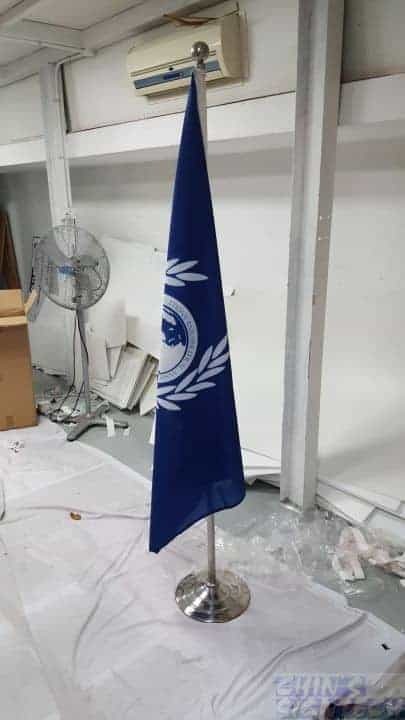 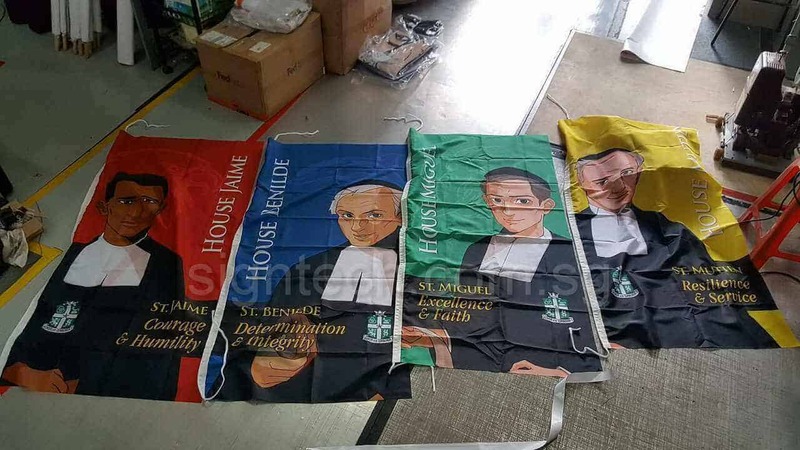 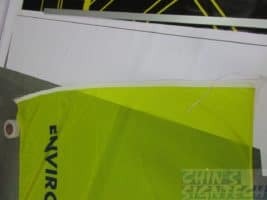 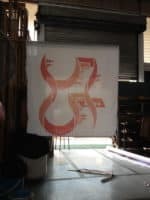 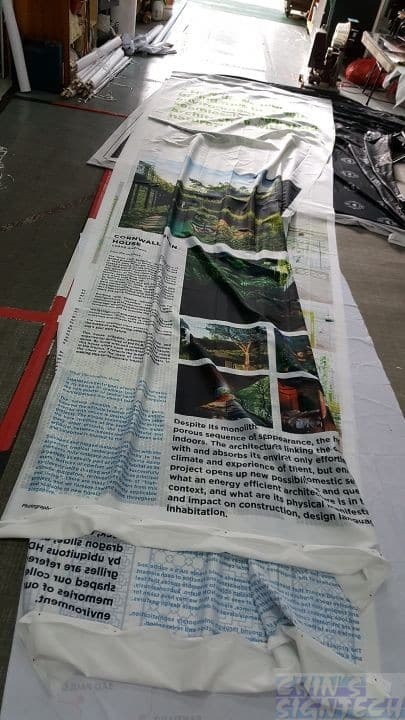 It need to be light weighted, if printed double sided, you will have a hard time waving it, small breeze cannot fly your flag and let it dance gracefully. 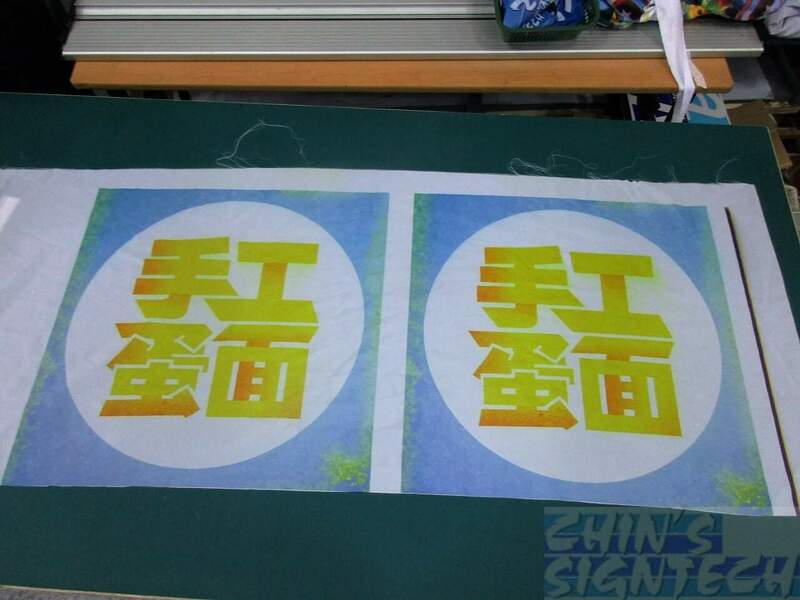 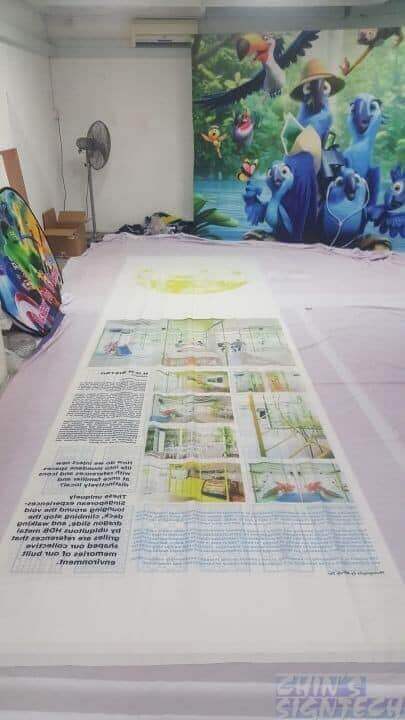 The ink pass through the fabric and have a reverse image of the front image. 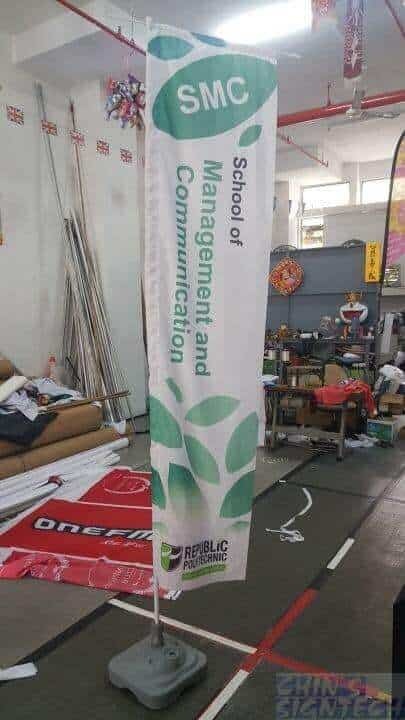 Which is almost 80 % true colour. 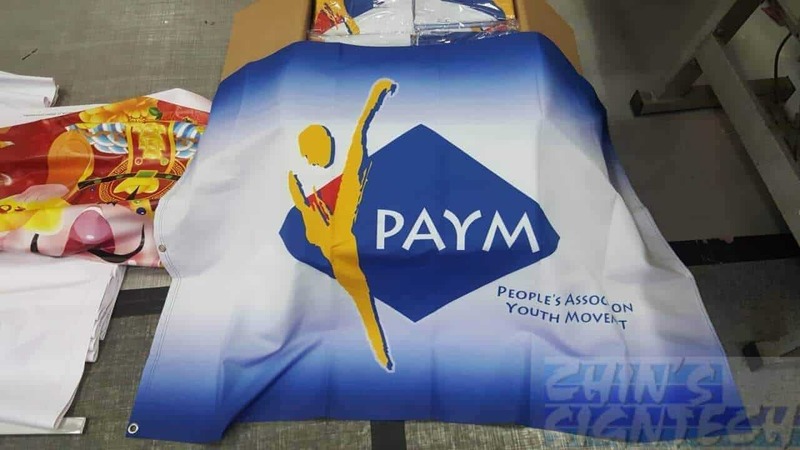 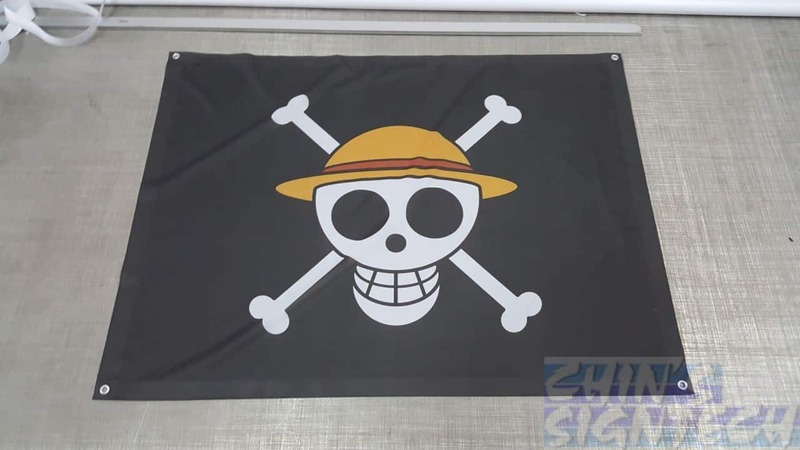 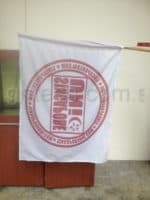 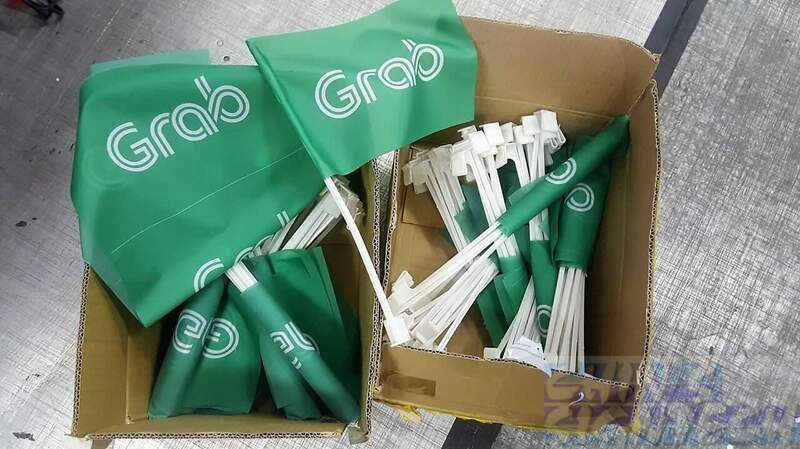 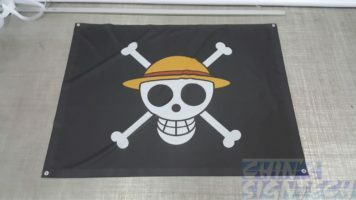 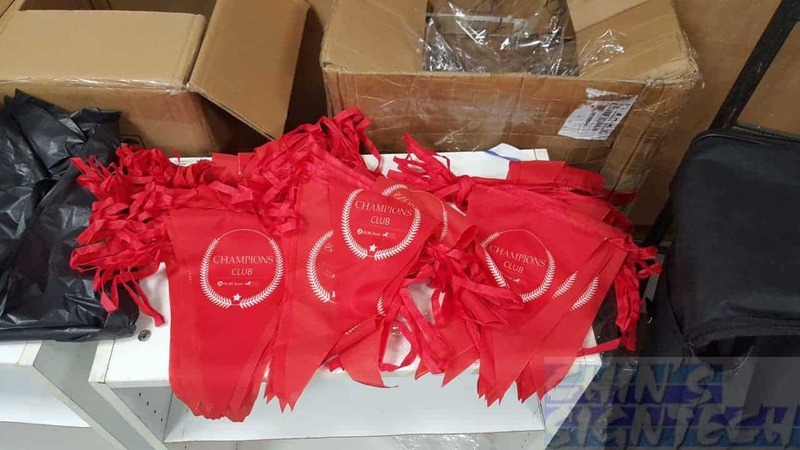 These flags are light weighted even they are printed big, they weight only 65+ GSM. 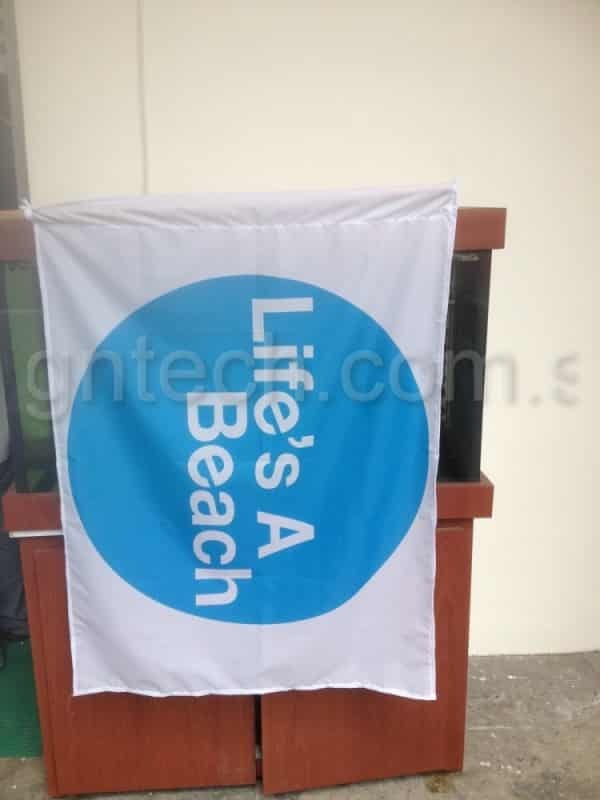 You won’t have any problem waving or carry it. 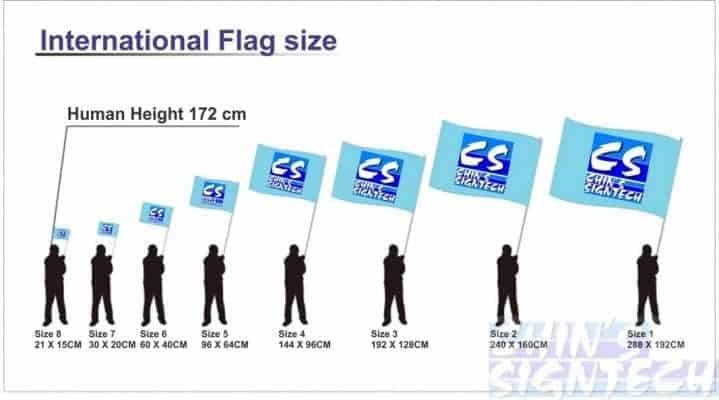 Due to the flag lightness, they have their advantages. 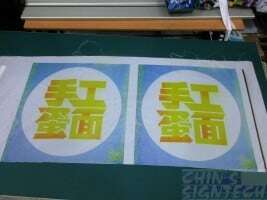 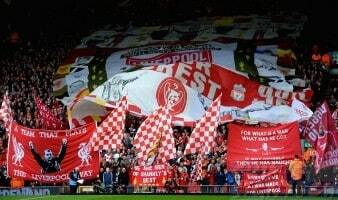 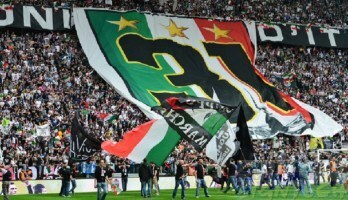 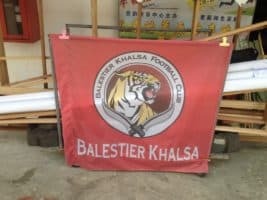 They are popular used as banner at soccer match. 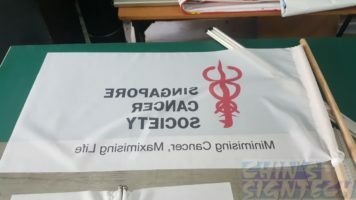 They cannot use PVC banner which are weighted over 340+ GSM, which is almost 5 times heavier !